The first instrument from Spain for a mission to Mars will provide daily weather reports from the Red Planet. Expect extremes. Major goals for NASA's Mars Science Laboratory include assessing the modern environment in its landing area, as well as clues to environments billions of years ago. The environment station from Spain will fill a central role in studying modern conditions by measuring daily and seasonal changes. The Rover Environmental Monitoring Station, or REMS, is one of 10 instruments in the mission's science payload. 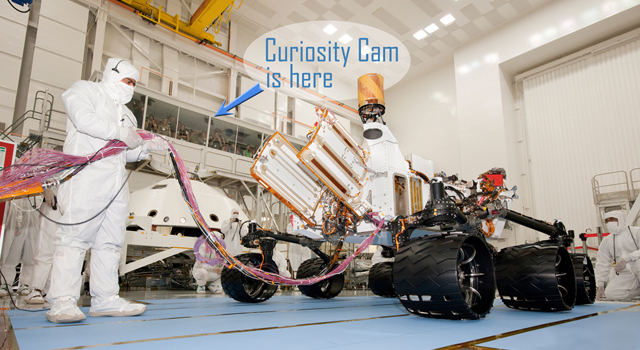 REMS uses sensors on the mast, on the deck and inside the body of the mission's car-size rover, Curiosity. Spain's Ministry of Science and Innovation and Spain's Center for Industrial Technology Development supplied the instrument. 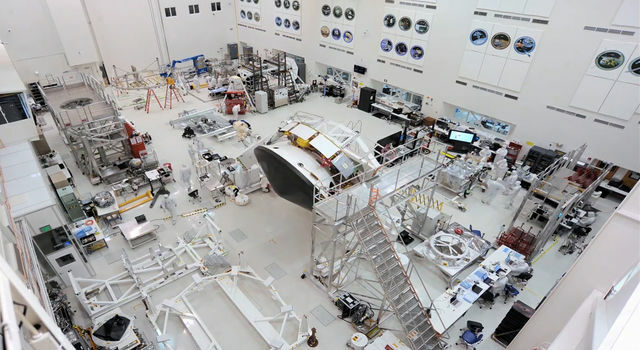 Components were installed on Curiosity in September and are being tested at NASA's Jet Propulsion Laboratory, Pasadena, Calif. While most of Curiosity's electronics are sheltered for some protection from the Martian environment, the team that developed and built the environmental station needed to fashion external sensors that could tolerate the temperature extremes that some of them would be monitoring. 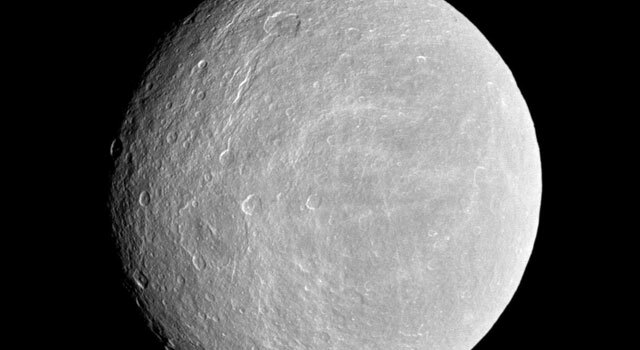 "That was our biggest engineering challenge," said REMS Principal Investigator Javier Gómez-Elvira, an aeronautical engineer with the Centro de Astrobiología, Madrid, Spain. "The sensors will get very cold and go through great changes in temperature every day." The Center for Astrobiology is affiliated with the Spanish National Research Council and the National Institute for Aerospace Technology. The air temperature around the rover mast will likely drop to about minus 130 degrees Celsius (about minus 202 degrees Fahrenheit) some winter nights and climb to about minus 50 C (about minus 60 F) by 12 hours later. On warmer days, afternoon air temperatures could reach a balmy 10 to 30 C (50 to 86 F), depending on which landing site is selected. Other challenges have included accounting for how the rover itself perturbs air movement, and keeping the entire weather station's mass to just 1.3 kilograms (2.9 pounds). The instrument will record wind speed, wind direction, air pressure, relative humidity, air temperature and ground temperature, plus one variable that has not been measured by any previous weather station on the surface of Mars: ultraviolet radiation. Operational plans call for taking measurements for five minutes every hour of the 23-month-long mission. Twenty-three months is equal to approximately one Martian year. Monitoring ground temperature and ultraviolet radiation along with other weather data will contribute to understanding the Martian climate and will aid the mission's assessment of whether the current environment around the rover has conditions favorable for microbial life. "It is important to know the temperature and humidity right at ground level," said Gómez-Elvira. Humidity at the landing sites will be extremely low, but knowing daily humidity cycles at ground level could help researchers understand the interaction of water vapor between the soil and the atmosphere. If the environment supports, or ever supported, any underground microbes, that interaction could be key. 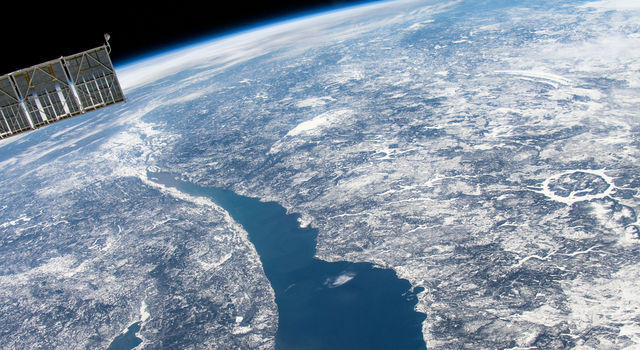 Ultraviolet radiation can also affect habitability. For example, germ-killing ultraviolet lamps are commonly used to help maintain sterile conditions for medical and research equipment. The ultraviolet sensor Curiosity's deck measures six different wavelength bands in the ultraviolet portion of the spectrum, including wavelengths also monitored from above by NASA's Mars Reconnaissance Orbiter. The weather station will help extend years of synergy between missions that study Mars from orbit and missions on the surface. "We will gain information about whether local conditions are favorable for habitability, and we will also contribute to understanding the global atmosphere of Mars," said Gómez-Elvira. "The circulation models of the Mars atmosphere are based mainly on observations by orbiters. Our measurements will provide a way to verify and improve the models." For example, significant fractions of the Martian atmosphere freeze onto the ground as a south polar carbon-dioxide ice cap during southern winter and as a north polar carbon-dioxide ice cap in northern winter, returning to the atmosphere in each hemisphere's spring. At Curiosity's landing site far from either pole, REMS will check whether seasonal patterns of changing air pressure fit the existing models for effects of the coming and going of polar carbon-dioxide ice. 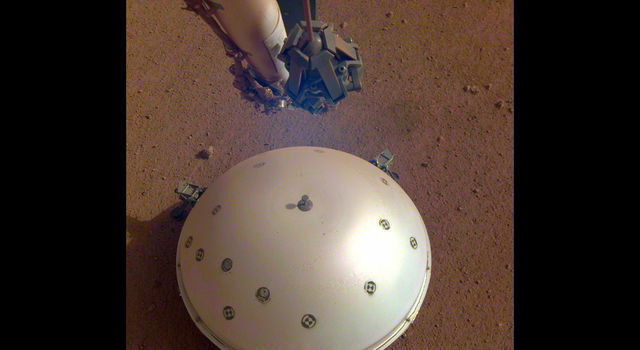 The sensor for air pressure, developed for REMS by the Finnish Meteorological Institute, uses a dust-shielded opening on Curiosity's deck. The most conspicuous components of the weather station are two fingers extending horizontally from partway up the rover's remote-sensing mast. Each of these two REMS mini-booms holds three electronic sensors for detecting air movement in three dimensions. Placement of the booms at an angle of 120 degrees from each other enables calculating the velocity of wind without worrying about the main mast blocking the wind. One mini-boom also holds the humidity sensor; the other a set of directional infrared sensors for measuring ground temperature. To develop REMS and prepare for analyzing the data it will provide, Spain has assembled a team of about 40 researchers -- engineers and scientists. The team plans to post daily Mars weather reports online.